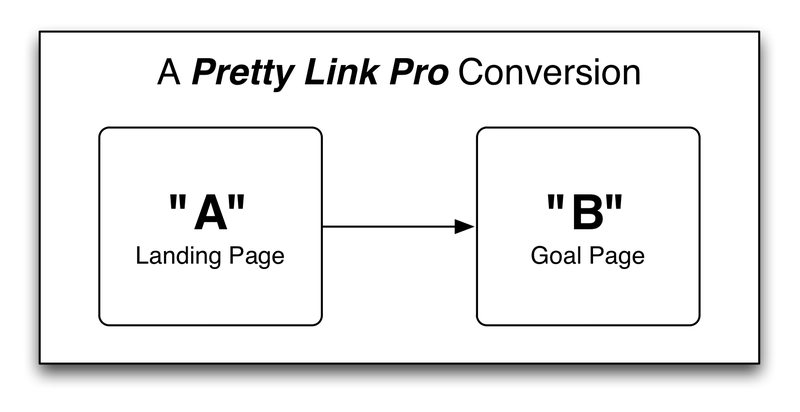 Okay, you may need a slight primer on how Pretty Links handles Conversion tracking. Traditionally a "conversion" means a person makes a Sale but as far as Pretty Links is concerned, a conversion can is a click or a hit. That hit could be a sale, a mailing list sign up or just a link to another page. 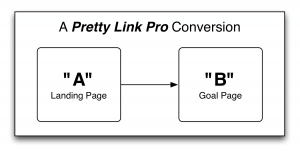 Pretty Links records a conversion when a user does "A" and then sometime later does "B" -- "A" is almost always recorded when a user hits a specific landing page and "B" is whatever the goal page of that landing page is -- whether its a sale or not. Pretty Links then takes the number of hits and divides by the number of Conversions to figure out the conversion rate of "A" -- pretty simple stuff really but having it automated is nice. 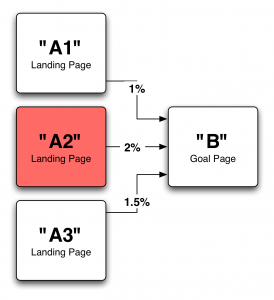 The really interesting data comes when you start analyzing multiple landing pages to see which one drives people to "B" the most. 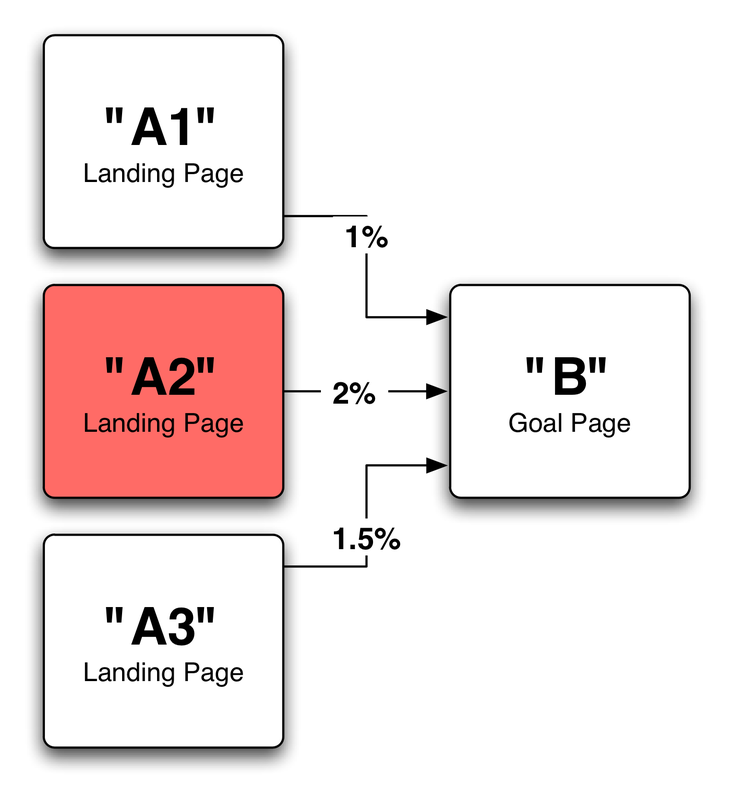 I've used this approach for monitoring which landing page in a PPC campaign is performing the best or which email landing page in a drip campaign (time delayed autoresponder messages) is converting the best. It really helps me get a handle on which strategies are working and which aren't. Pretty Links focuses on setting up reports fast and being able to see your results quickly -- giving quick and accurate feedback so that you can focus on what you need to improve on now. Go to "Pretty Links" -> "Pro Reports". Click "Add a Pretty Links Report". Select your "Links to Analyze" -- these are your "A" pages. Select your "Goal Link" -- this is your "B" page. Find your newly created report in the list and click "view" under it to see your report. You can omit the Goal Link if you just want to see clicks compared across your "A" pages. If the "B" page you want is not controlled by you (if you're recording a sale on someone else's system), you may want to create a Pretty Links for "B" that is a Tracking Pixel and see if you can have whoever controls that page add it to that page. Every time that 3rd party page is loaded, your conversion will be counted. Data for the Pretty Links Conversion report is ongoing -- which means that if you've had previous activity on your "A" and "B" Links then you'll see data on your report immediately after creating the report. Pretty Links, let's you customize the date range when viewing the reports. Select the date range, and click "Customize". Note: Conversion reporting only works when your tracking method is set to "Extended" mode.